Originally it comes to malt wine with added extracts of juniper. Since the end of the 19th century gin contains usually industrially produced ethanol. 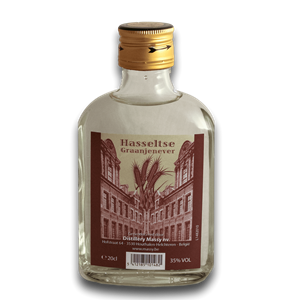 In the Netherlands, where these gins are for the principal part made with neutral spirits, are called young or old gin. Kornwine is a gin that is mainly based on malt wine. Often kornwine is matured for some time in wooden barrels. In Belgium they speak in such cases of matured gin or bearinged gin; gin based on neutral spirits is named in Belgium simply gin or, in Wallonia, peket.